Once logged in, you will be directed to your auction manager page. To begin snipping auctions you must first have an auction you want to bid on. Browse to an auction you want to bid on. Copy eBay item number for that auction from the eBay page. 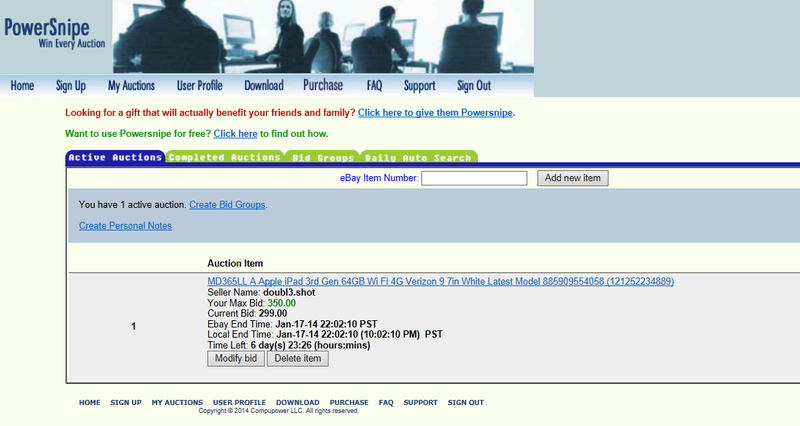 Click on the PowerSnipe auction manager page and paste the item number into the eBay Item Number field. The next page you see will be the Auction Details page. This page contains the details for the auction you wish to bid on. In the field that says “maximum bid,” type your maximum bid. 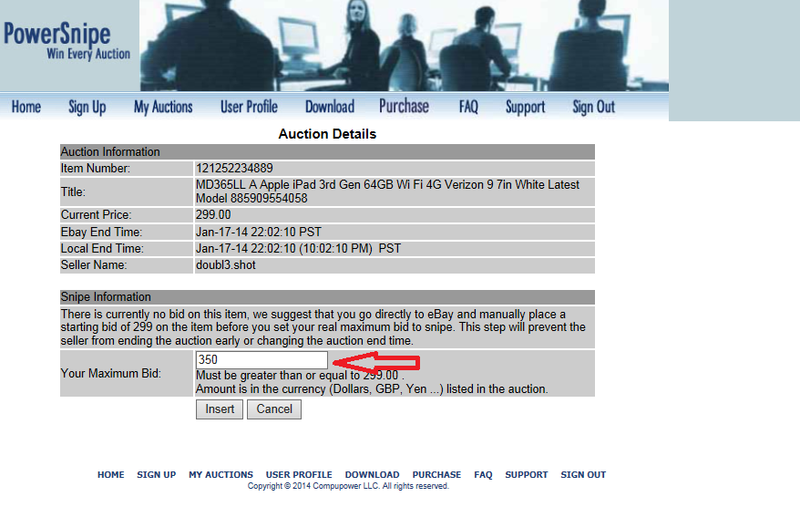 This bid must exceed the minimum bid amount. Once you click insert you again see the Auction Manager page. 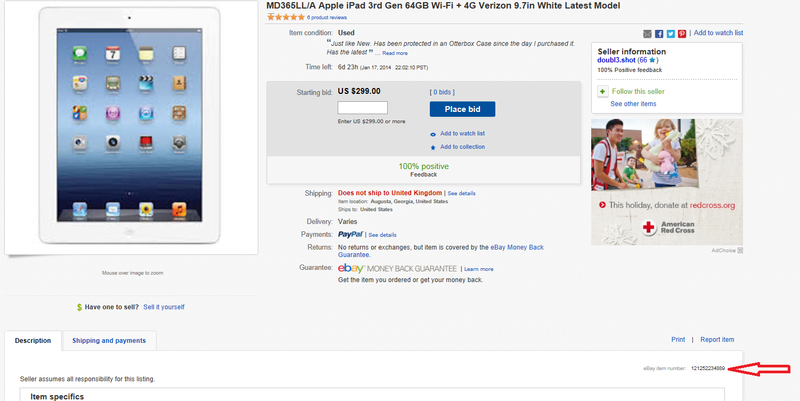 This page contains one auction with the details of that auction. The auctions displayed here are the auctions that are queued for bidding. From the Auction Manager page you can do things like add a new auction, change your max bid at any time up to two minutes before the auction ends, go to your auction, and cancel your auction at anytime up to two minutes before the auction ends. When the auction ends you will get an email from PowerSnipe telling you that the auction has ended.